At the southwest of the island one can find Ayiassos bay with calm waters even when the north winds are howling. Ayiassos was where Marco Sanudo landed on Naxos in 1207; he marched inland and besieged Apaliros, where he encountered stout resistance. 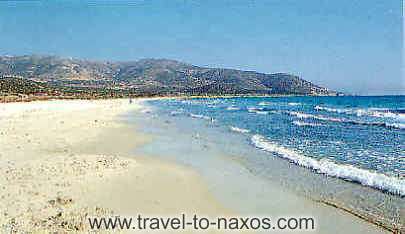 The road to Ayiassos is asphalt till Alyko beach and earth road after that for about 2.5km. Local transportation is very poor, so visitors who decide to stay there should also rent a car or motorbike/scooter.